While the SAP HCM Payroll module is immensely useful, taking full advantage of its functionality requires an intimate understanding of the processes at play behind the scenes–something that isn’t always easy, given how many factors are involved. This is a well-known dilemma for many business owners using SAP HCM software, which is exactly the reason that the SAPinsider studio hosted an SAP panel at HR 2014 with Mike Timm, Brigid Sternberg, and Steve Bogner. 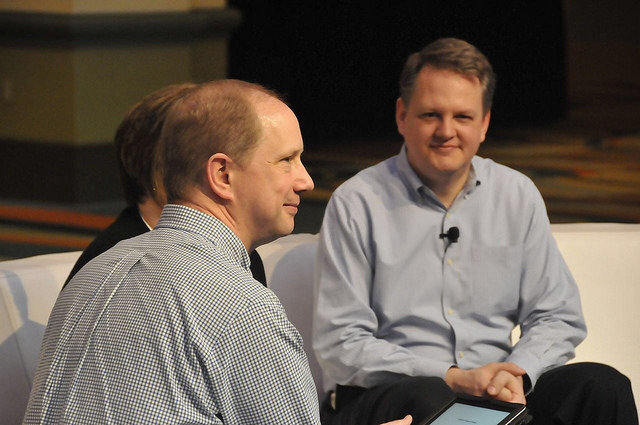 The panel brought together three great SAP HCM consultants, including ICG’s own Mike Timm, to discuss some of the most popular topics surrounding SAP Payroll. The discussion includes conversations about how to address gaps in payroll functionality and implementations, how organizations can improve payroll processes, and tips for addressing various payroll deductions. Mike Timm brings his versatile experience from his current tenure with ICG into the equation, offering up substantive advice to businesses in the SAP HCM space. This SAPinsider studio panel is one of the many events that took place at this year’s HR 2014, and the SAPinsider website is home to a wealth of information for both consultants and businesses utilizing SAP HCM software. To see the video from the SAPinsider studio at HR 2014, visit the website here. And to learn more about ICG’s services and how we can help your business with your SAP HCM–including SAP Payroll–needs, contact us through our site here.